Advanced SystemCare Pro is an easy-to-use yet all-in-one Windows PC optimization utility. It helps clean, optimize, speed up and protect your system, as well as secure your online privacy. With the best 1-click approach, it is easier for you to clean up junk files, leftovers, and registry entries, and optimize startup items, system resources, and Internet connections to greatly speed up your computer boot time, responding & browsing speed. With the newly added cleaning for unnecessary installed driver packages, Advanced SystemCare Pro can help you free up more disk space. 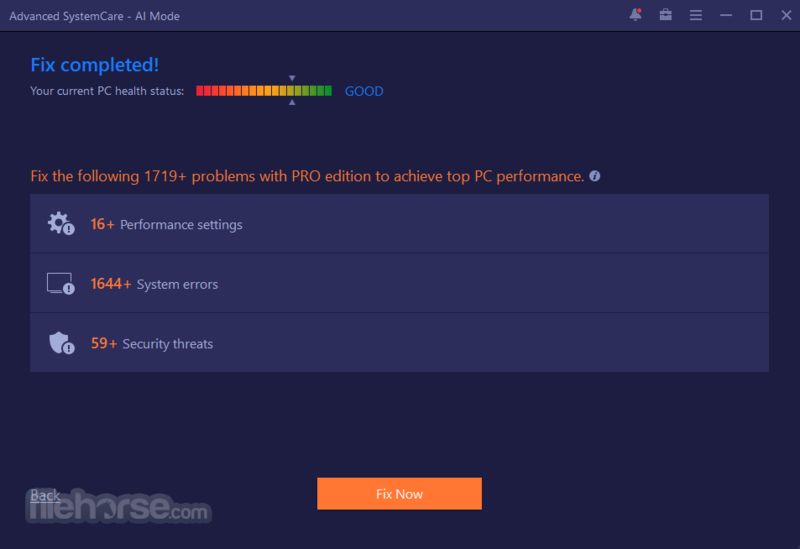 Redesigned Performance Monitor gives more accurate real-time data of CPU, GPU and mainboard temperature and more intuitive usage report of disks, RAM and CPU to help you know better of the PC status and offers a quick access to manage the system resources and troubleshoot system performance issues easily. The newly created FaceID and Surfing Protection & Ads- Removal takes PC security to a higher level. FaceID automatically catches intruders who are secretly accessing your PC and prying into your privacy. Surfing Protection & Ads- Removal brings you a fresh-new, secure, and ads-free online surfing experience. With the larger database of Privacy Sweep, Spyware Removal, and Real-time Protector, Advanced SystemCare Pro 2019 helps you remove more threats and fix more privacy issues. 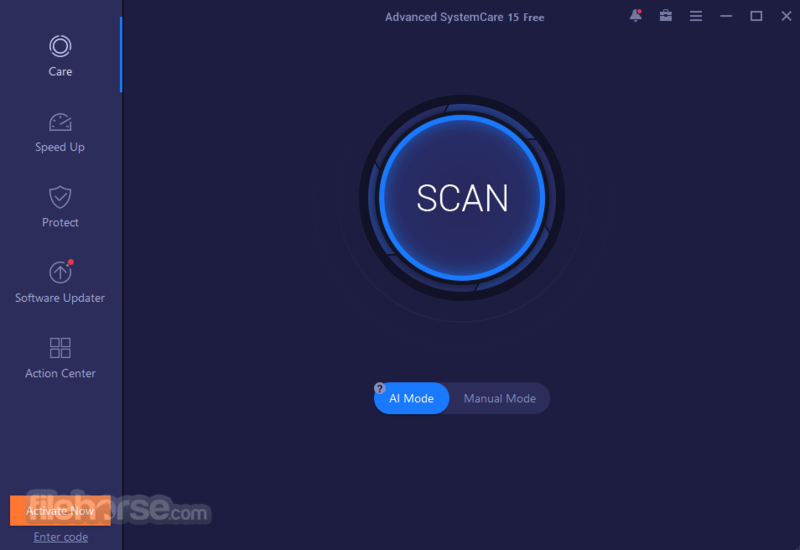 What's more, Advanced SystemCare Pro rebuilds and improves over 10 useful tools and features, such as Startup Optimization, Hardware Accelerate, Surfing Protection, Resource Manager, MyWin10, Large Files Finder, etc. to explore the PC's full potential and make it run faster as a new one. Whatever version of Windows you're running, enjoy that "good as new" speed usually only experienced on a brand new PC. Boosts your system's performance by cleaning missing files, destroying unwanted files, deleting obsolete files, and removing junk files. Supports clean-up of over 50 different types of junk files. Safely cleans registry junk, compacts registry bloats and defragments the whole registry for maximum performance. Finds and fixes the registry errors that other utilities miss with "Deep Scan" technology. Fast, powerfully and incredibly effective Disk Defrag function to defragment hard drives - up to 10 times faster than other defragmentation tools. Detects and analyzes Windows security environment. Scans and removes spyware and adware using up-to-date definition files. Prevents spyware, hackers and hijackers from installing malicious programs on your computer. Erases and updates your PC's activity histories.